Wampum originated in the coastal areas of the northeastern United States around Long Island Sound and Narragansett Bay, where the Narragansett and Algonquin tribes collected whelk and quahog clam shells. 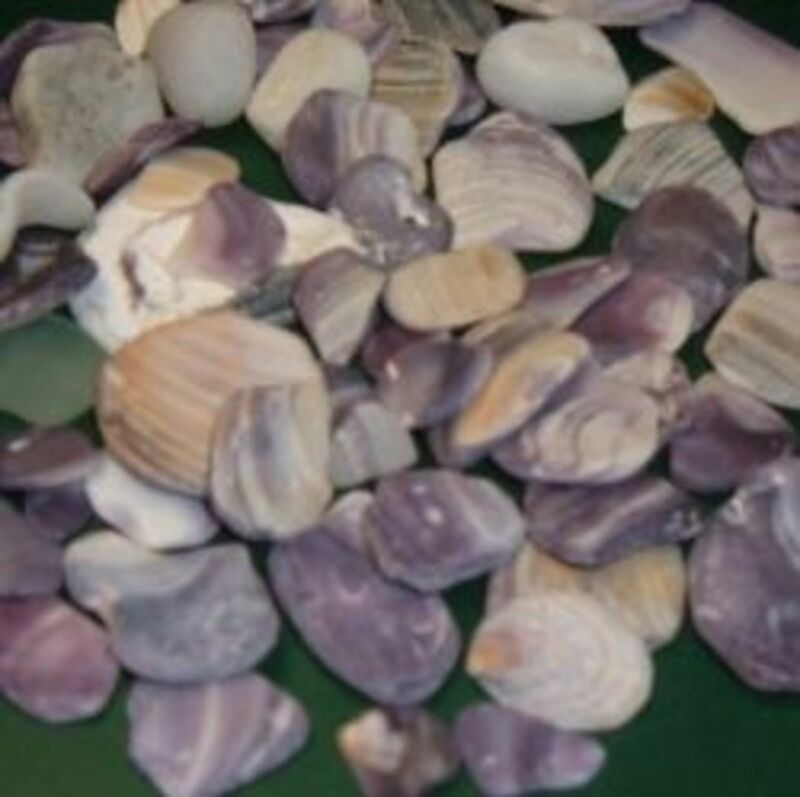 The Native Americans used the whelk and quahog shells to carve delicate white and purple beads. Strung on sinew, the intricate bead-work decorated ceremonial belts, bracelets, headdresses, and other important articles of clothing. The word Wampum is derived from a Narragansett tribal word meaning "white shell beads" or "white beads strung". White Wampum beads, known as "Wompi", were crafted from the spiral core of whelk shells. The purple "Sacki" beads were cut from the outer shell of the quahog clam. The white and purple Wampum beads were carved, drilled, polished smooth and then strung together. Carving Wampum beads from the hard, brittle shells with traditional tools was labor intensive and took a lot of skill, making Wampum beads very valuable to the Native American people as signs of wealth and position. Wampum was the earliest form of currency used in the New World, used in trade by the Native Americans with their neighboring tribes. The white Wampum beads were more common than the purple Wampum beads, and worth about half of the value of the darker colored beads. The early European settlers also used Wampum when trading with the local tribes, but they lacked the cultural understanding and ceremonial significance that Wampum held with the Native American People. Today, artists use polished Wampum from quahog shells to create pendants, ear rings, bracelets and other pieces of jewelry. To us, Wampum are the bits of rounded and polished pieces of quahog shell that wash up along the shoreline of Humarock Beach. Nearly every walk on the beach yields a few choice pieces of Wampum shells, especially during low tide when the receding ocean uncovers vast areas of sand and gravel. We keep a sharp eye out for the shiny pieces of white and purple Wampum shell as we walk along the water's edge. Finding and collecting pieces of Wampum and quahog shells while walking along the shorelines of Humarock Beach is one of our favorite summer activities. 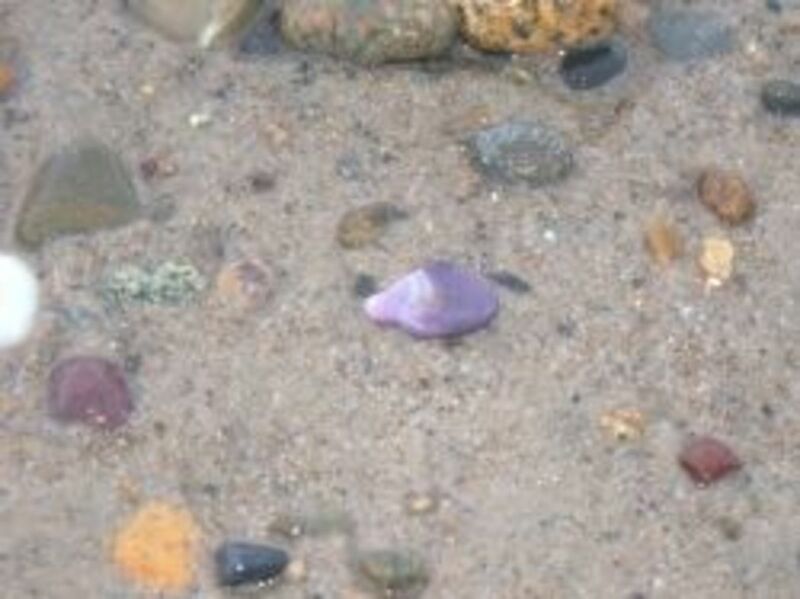 The colorful bits of purple and white shells are polished smooth by the tumbling action of the waves, and then scattered along the shoreline among the sand and pebbles. Left on the beach by the retreating waves, Wampum shells glisten and shine under the sun. 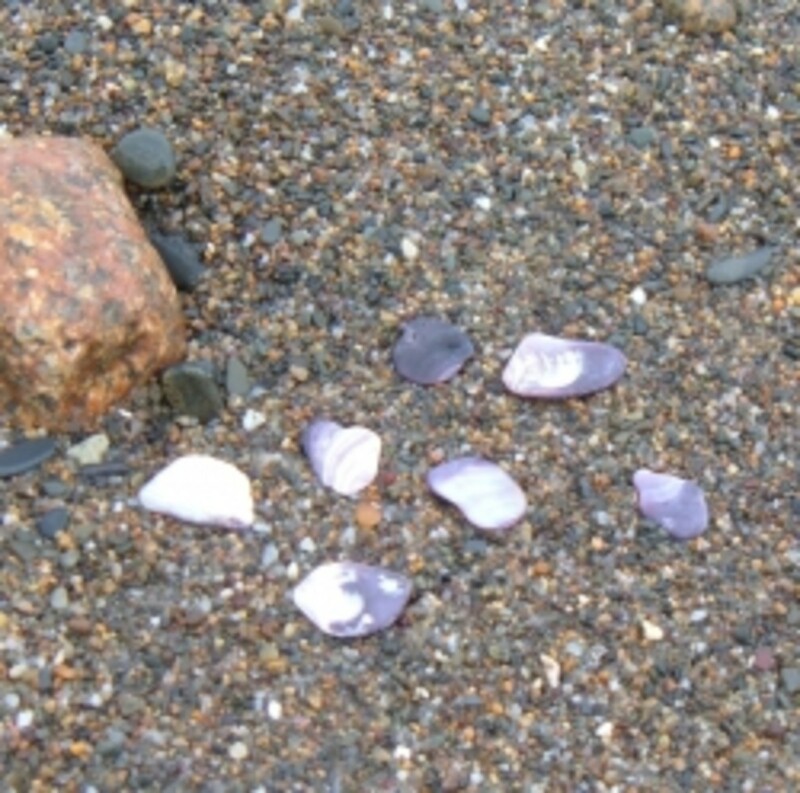 The dark purple pieces are our personal favorites, and the photo shows a collection of Wampum shells that we found on Humarock Beach during low tide. Most pieces of Wampum shell are relatively small, averaging about the size of nickels, dimes and quarters. Occasionally, we find a larger piece or sometimes just the tiniest colorful specks of Wampum shell. We keep only the best pieces of Wampum: worn smooth with unique patterns of creamy white and rich dark purples. If a piece is not rounded smooth, or lacks character or visual appeal, then the Wampum shell is returned to the sea. Quahog shells are fairly common on Humarock Beach. Over the years, we collected hundreds of pieces of Wampum and each weekend trip to the beach house adds more to the collection. 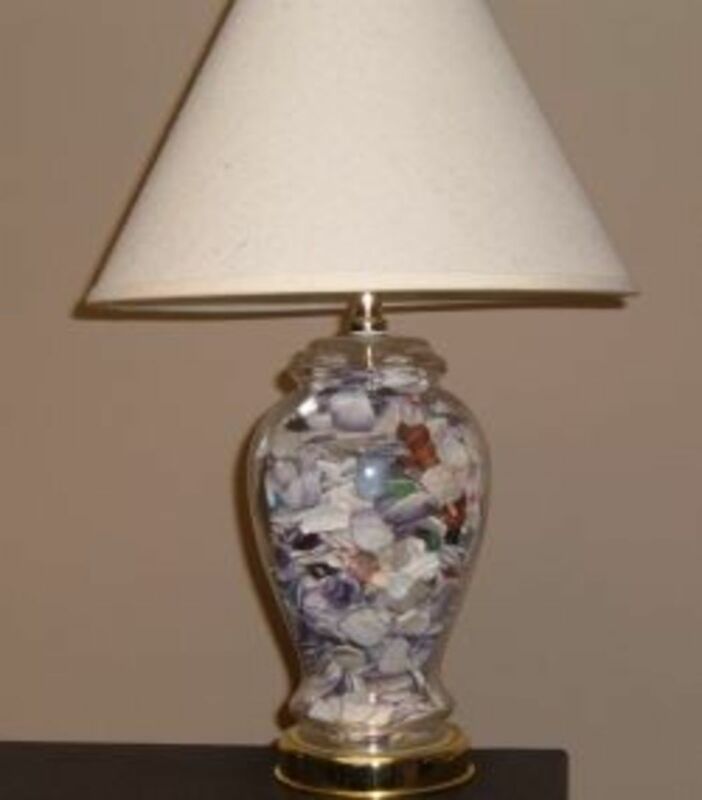 So far, we filled two glass lamps with Wampum shells, pieces of sea glass and a few other types of small shells. Several handmade picture frames display decoupage Wampum shell, the fish tanks boast several colorful pieces of quahog shells, and a large decorative jar holds more of our collection. Wampum pieces add a touch of nautical whimsy to a homemade wind chime, with holes drilled through the shell pieces and then tied together with fishing line. 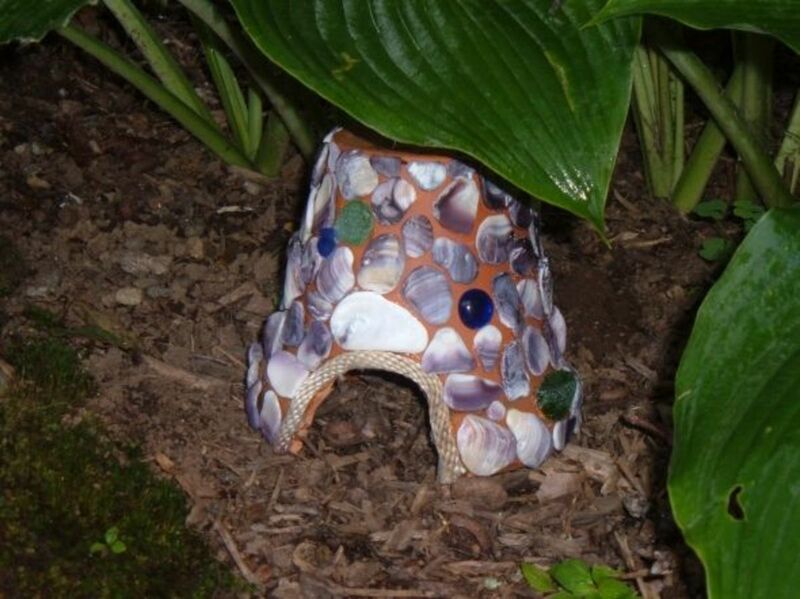 I've even used Wampum shell to decorate a toad house for the garden. The mason jar conversion kits are pre-assembled. The cord is wired into the side of the standard base socket so you don't have to worry about drilling holes in the jar. 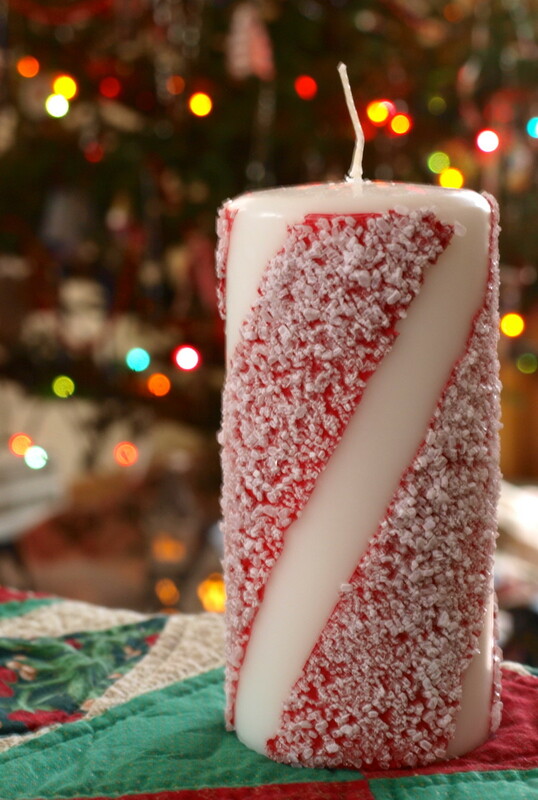 This is a quick and easy way to make a Wampum Lamp. Fill a standard mason jar with Wampum (or your favorite collectible), and then screw on this pre-assembled cap and socket. 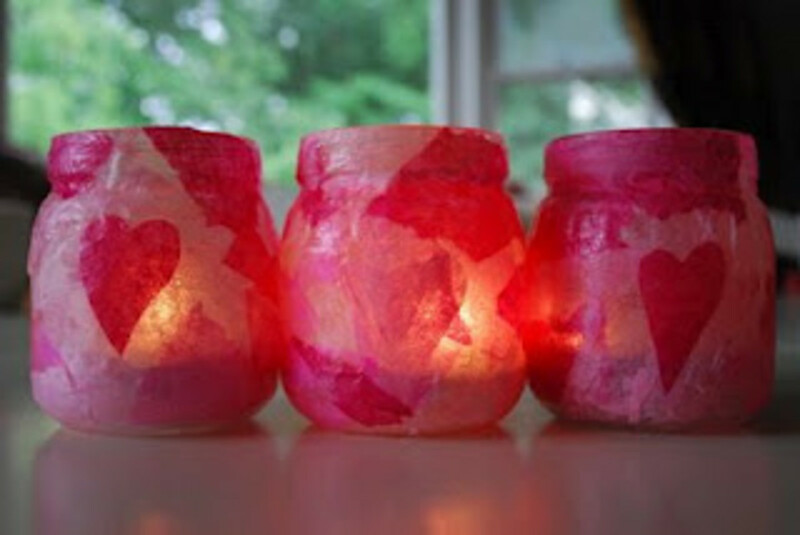 Add a light bulb (energy efficient, please) and you have a ready-made lamp. Have You Ever Seen Wampum? Sure, I've found pieces of Wampum on the beach. Isn't Wampum just another slang word for 'money'? The rocky shores of Humarock Beach are a good place to look to Wampum. The bits of colorful shell are mixed in among the pebbles and small stones, and each outgoing tide leaves a fresh shoreline to search for pieces of Wampum. South of Boston and north of Cape Cod, Humarock is a beautiful example of the New England coastline. 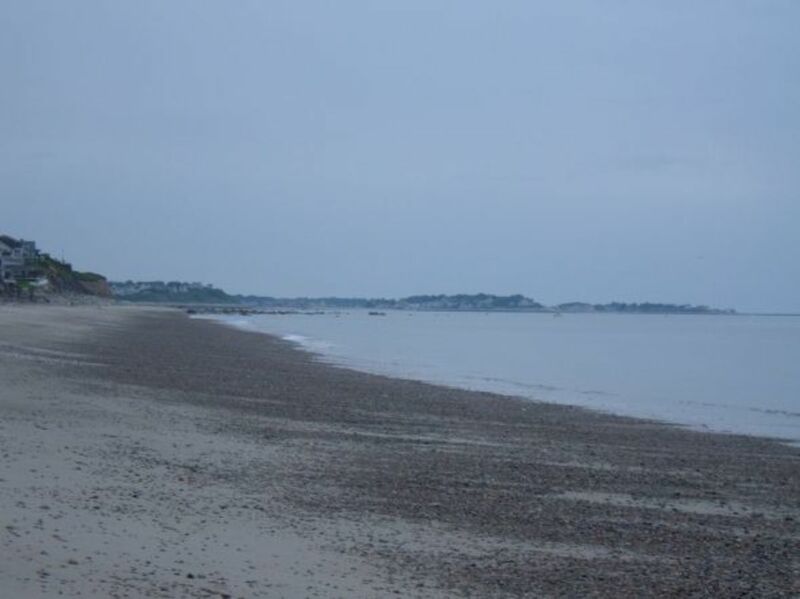 The peninsula features the ocean and beach on the coastal side, with easy access to both the North and South Rivers. I really wasn't sure what Waumpum is so was glad to learn from this page. Thank you. Beautiful pieces of Wampum. 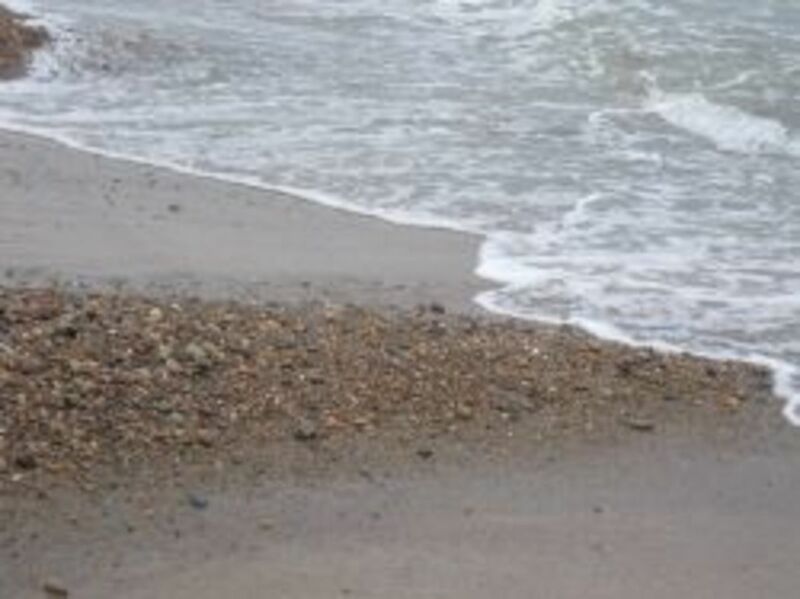 I would love to be able to find those on our Beaches. Thanks for the information. I had never heard of this before. I wish wampum was still used as currency. Now that would be interesting! Blessings! That lamp gave me a great idea. I love collecting shells, thanks for the info! Very interesting resources for beads. A friend of mine is really into beadwork. I'll pass this along to her. Thanks for sharing! Forgot to add, the wampum toad house is adorable. There's a toad that always wants to get into our garage. Maybe if he had a cute house, he'd stay out of the garage! I love finding shells, and have several jars of them, and a wreath made with shells. We get different ones here, depending on which beach it is. I have found the most shells right after tropical storms. I would love to find pieces of wampum shells. 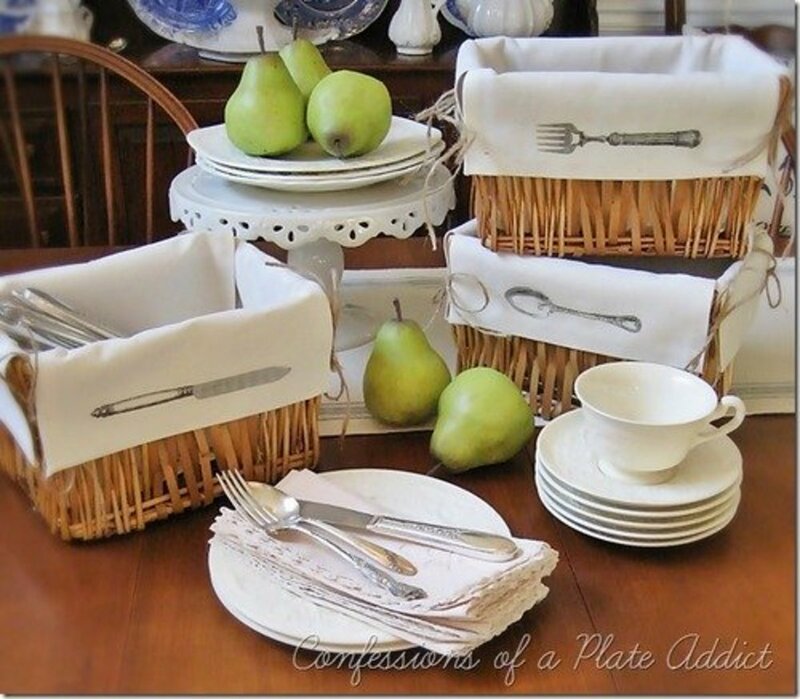 Lovely presentation and great ideas on things to make with the shells. I'd love to make a homemade windchime of shells. Awesome idea for a Lens; I was just reading about wampum today in a book called "The Big Oyster" some of the book is about the Lenape here in NYC. They didn't actually sell Manhattan (or Mannahatta in their language) for $24, since they had no sense of ownership in the land, they were actually giving them some fishing and hunting rights. A beautiful way to spend some lovely hours on the beach. I loved learning more about wampum here. Too bad we don't still trade it as currency. I guess in a way some still do (artists, etc.). Thanks for another excellent publication. Always look forward to your articles. Very interesting. 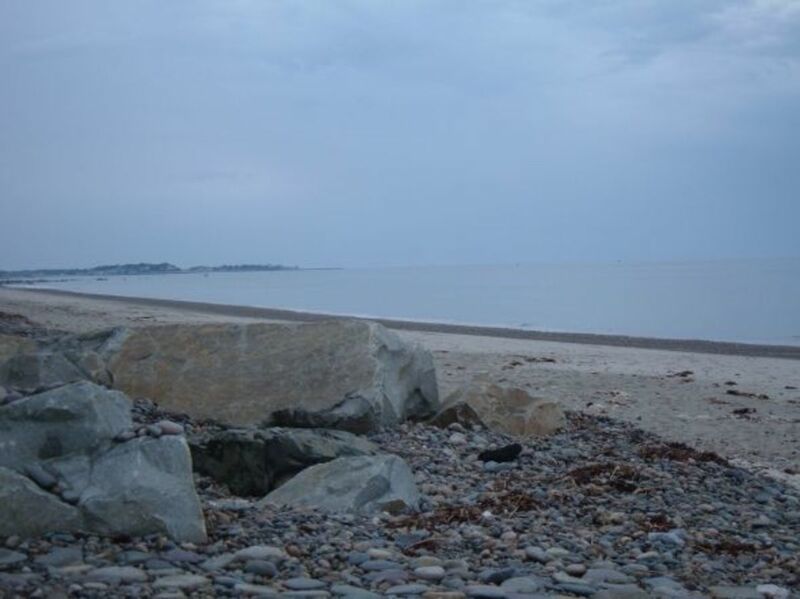 I had heard of wampum and love when it's used in jewely but never knew of Humarock Beach before. Love that 'Toad House: Decorated with Wampum from Humarock Beach'. It's so cute. Thanks for this very informative page, I have seen Wampum before at a few mineral and gem shows. I agree that they are very beautiful. I enjoyed reading about what you can make with wampum. Thanks to share those beautiful pictures. It is a lovely place. A wonderful presentation of the history of Wampum and its value to Native American tribes for trade and I love how you combine that with the bits of shells your family finds and displays in so many creative ways....the neighbor's toads are a little envious of the Wampum decorating the toad house in your yard! Delightful!